Reliable companion. 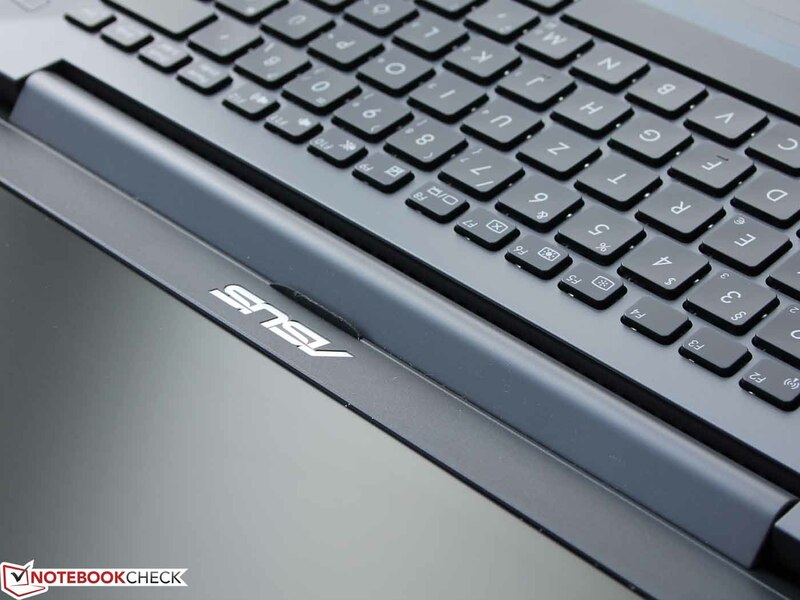 Keyboard with large travel, firm pressure point, large touchpad, fast keys and Shockshield hard drive protection. Did a manufacturer recognize what a business notebook is really about? 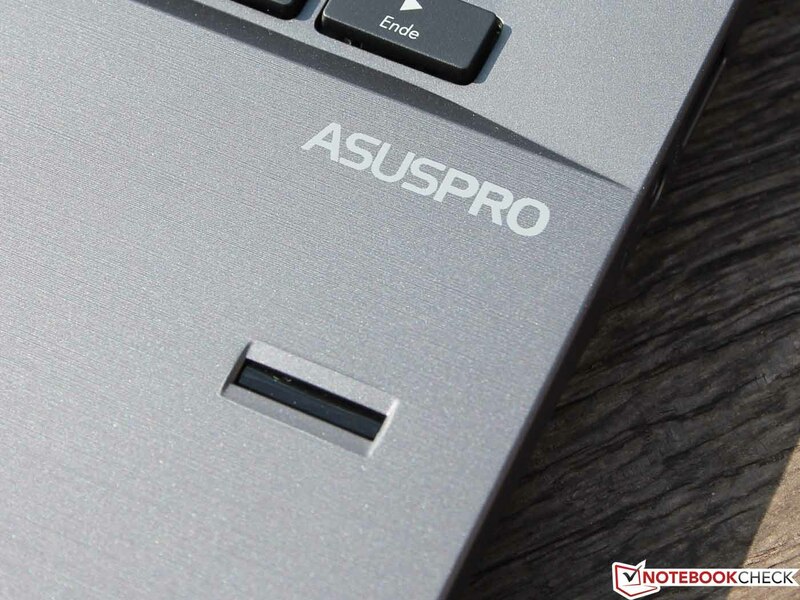 ASUS ASUSPRO Essential PU301LA-RO064G: simple box for a solid and mobile companion? A reliable companion for every business trip is what Asus calls its 13-inch PU301LA from the ASUSPRO-series. Small and medium-sized companies are supposed to be happy about the elegant design and the convenient input devices. We also want to mention the integrated LTE modem of our review configuration. Is that enough for high business expectations? Easy-care plastic chassis: no beauty, but appropriate for business users. The case is completely made of plastic, which allows a good grip (but it is not rubberized) and provides a partly brushed design (palm rest and lid). The latter is supposed to imitate brushed aluminum, but it cannot keep up in terms of design and quality impression. The lid is actually rather susceptible to fingerprints, but the rest of the case does not really attract them. Unfortunately, the construction is not as torsion-resistant and stable as expected; we can slightly twist the base unit, and the joints of the battery underneath the palm rest are clearly shifted. However, concentrated pressure does not really have an effect on the top or the bottom of the base unit. There is no optical drive, which could be an issue. The single hinge is firm at the base unit and only allows minimal display bouncing. You only need one hand to open the lid. A surrounding rubber lip does not exist, although a small stripe imitates one. We can also clearly twist the display cover, which results in gaps between the panel and the frame. Shockshield hard drive protection? The HDD is inside a shock-absorbing mounting with small rubber buffers at the edges that decouple the hard drive from the chassis. Furthermore, an accelerometer on the hard drive recognizes a free fall and parks the read and write heads. Finally, there is a metal frame around the HDD that is supposed to protect the hard drive against concentrated forces inside the chassis. The ports cannot really meet the potential of the larger business rivals; we can only find the typical consumer ports on the PU301LA. That is probably the reason for the Essential in the designation. HP's ProBook 645 shows that a real docking port is available for less than 800 Euros (~$1097) and the Latitude E5440 has one as well. Our review unit can only be used with universal docking stations via USB 3.0. Asus offers corresponding devices with the HZ-1 (90-XB3100DS00010) and the Varidrive (90XB004N-MDR030, standing, with optical drive). Fortunately, the situation is better in terms of wireless connections. Asus equips the device with a Huawei Mobile Connect 4G LTE modem. The SIM card tray is underneath the battery. The 13-inch device can establish WLAN connections to hot spots and routers with Intel's Dual Band Wireless-N7260 (2.4 GHz and 5 GHz). That worked pretty well in practice; we still had the full signal with a distance of 15 meters (~49 feet, outside the house). We managed more than 25 meters (~82 feet) with the PU301LA, but we encountered connection drops at 45 meters (~148 feet). Overall, the review unit is almost as good as some business rivals that manage more than 45 meters. 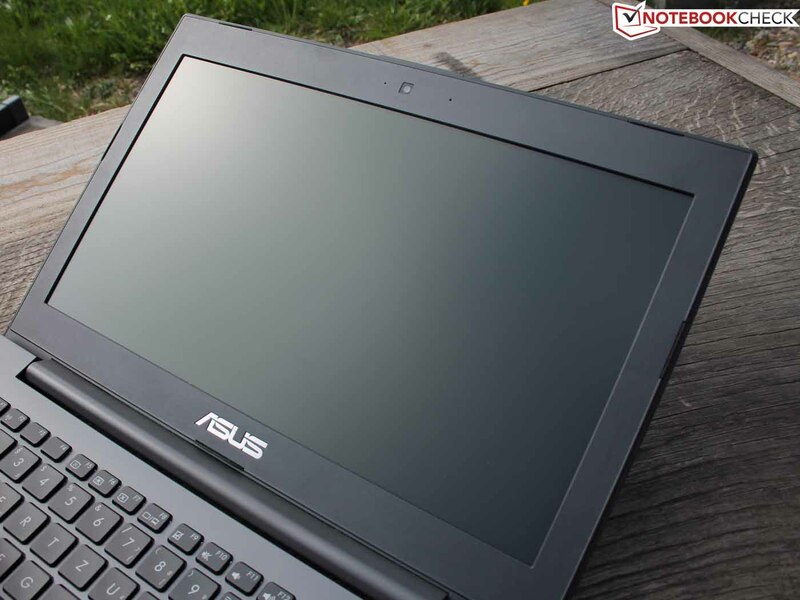 Asus advertises the sturdiness and the reliability, which were proved by a PU301 sample in extended drop tests and hinge tests. We could not test the statement that the display lid resists 20% more pressure compared to standard notebooks, just like the statement that the keyboard can resist 120 ml fluid. According to Asus, the RF fingerprint reader is less affected by skin surface conditions, including dry, worn, calloused, dirty or oily skin. We tried the fingerprint reader and it was actually very reliable. Good: The sensor is immediately available after you boot the system, which means that the BIOS is protected as well. 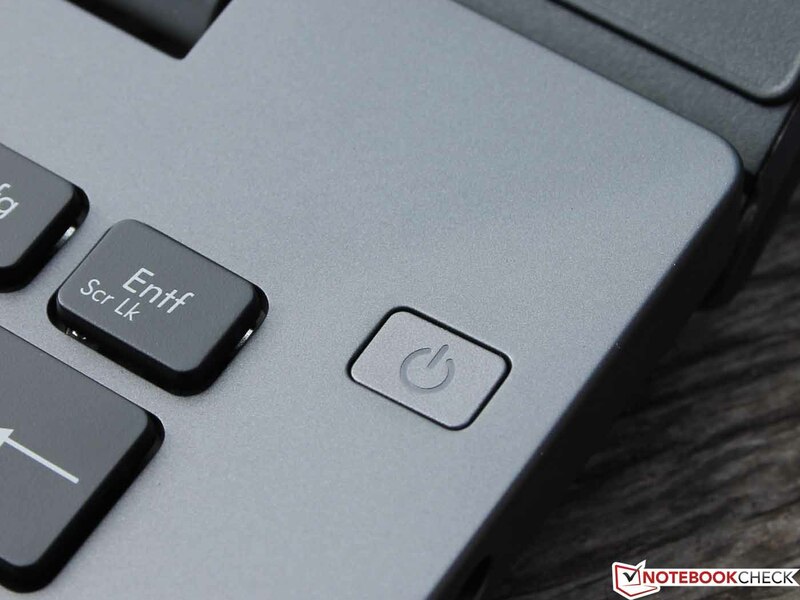 There are several security options in the BIOS (F2 during boot), for example Master password, deactivation of certain ports or Intel Anti Theft. An (optional) TPM chip is not in our review unit, but the BIOS is prepared for one. 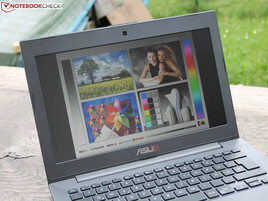 Asus also provides software solutions like Asus Secure Delete (tool to erase data permanently) as well as the Asset Tag Manager. The latter allows the user to define certain serial numbers that are shown in the BIOS (identification of devices/team members and administration of individual PCs). Intel also provides Small Business Advantage, a tool for administration and management. Security and productivity features can be administrated in one place. The box contains DVDs for Windows 8 Pro 64-bit and Windows 7 Professional 64-bit, and the latter is preinstalled. 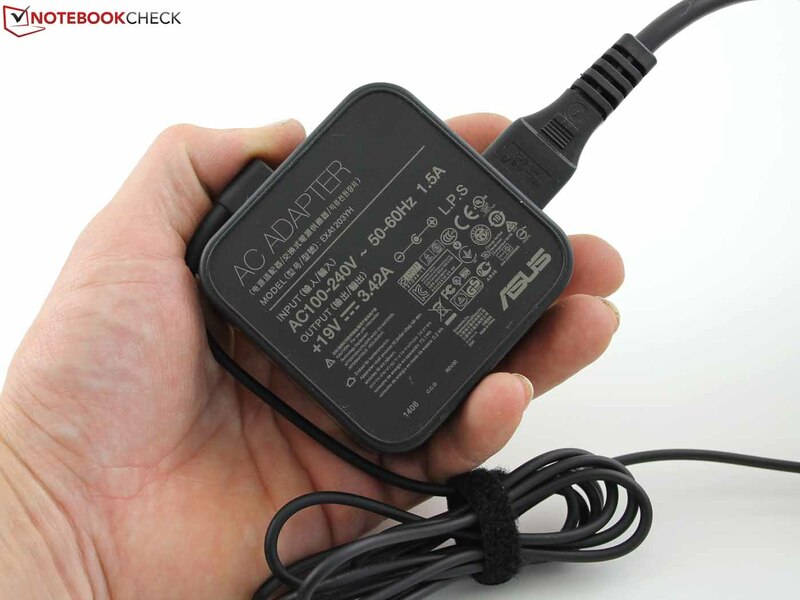 Besides the 65-Watt power adaptor, you do not get any additional accessories. The battery of the PU301LA can be removed, but that is about all the maintenance options for most users. You can, however, remove the bottom of the device, but we waived this step to avoid damage to our review unit. You should be able to replace the hard drive and the memory. Unfortunately, the manual does not include any detailed information (RAM slots). 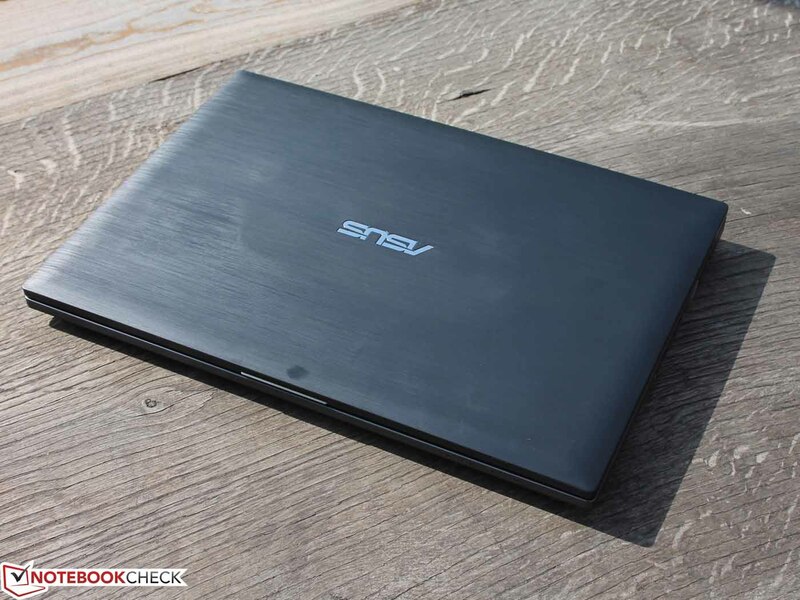 Asus grants a two-year manufacturer's warranty (Pickup & Return). 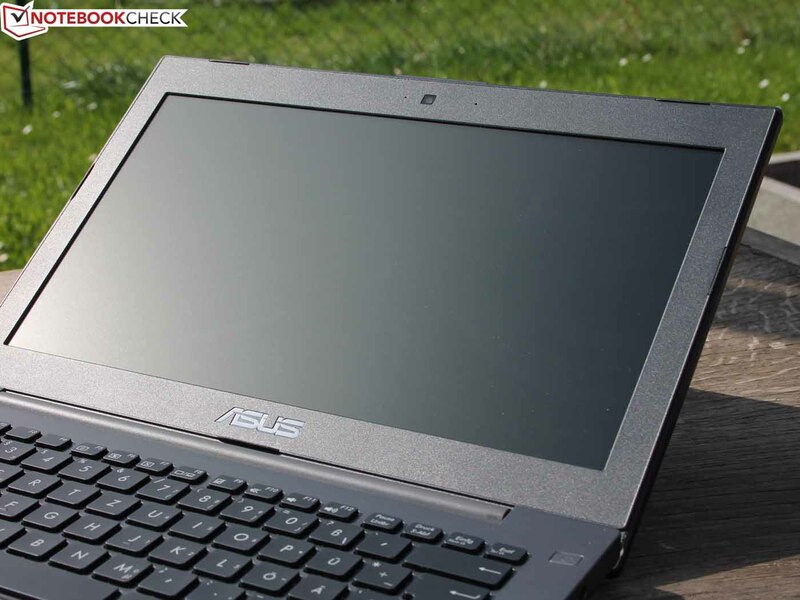 Asus only offers a warranty extension and does not differ between consumer and business products. The one-year extension to three years is available for 79 Euros (~$108). 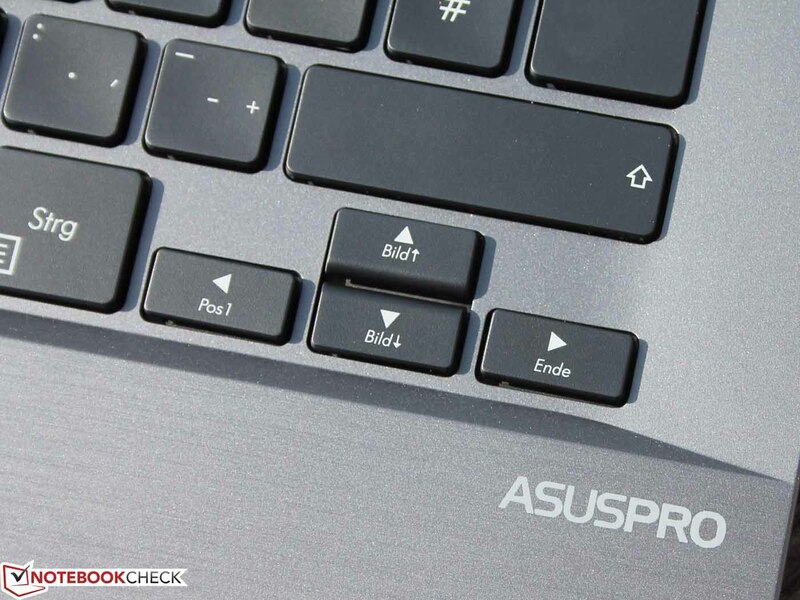 Asus praises its comfortable keyboard in particular. Not without reason, since the keys have an unusual long travel for notebooks, around 3 millimeters. The standard consumer travel is just half of that and some business rivals with good feedback have two millimeters. The keys are flat and have no conical curvature. That is unfortunate, because the firm pressure point and the firm (but not hard) stroke provide a good typing experience. The key spacing is convenient, the layout is pretty standard and the arrow keys are separated from the rest of the keys. Unfortunately, the keyboard does not have background illumination and the lettering could be clearer/brighter as well. Users who can type blindly will get used to the input very quickly and typos will not be a big problem. The size of Return, Space, Shift, Ctrl, and Backspace is comparable to desktop inputs. The manufacturer also increased the size of the bottom row; these keys are higher than all the others. Overall a comfortable typing experience, so the missing conical curvature is not really a problem. The touchpad is reasonably big for a 13.3-inch device – the diagonal size is 12 centimeters (107 x 61 mm; ~4.2 x 2.4 inches). Asus stresses the ease of use and we actually like the large mouse buttons with the distinct travel and pressure point. The buttons are very responsive and almost silent during clicking. The stroke is soft. The surface of the pad is smooth and hard and leaves a quality impression. You should not expect unattractive rubbing marks. The pad obviously supports multi-touch gestures like two-finger scrolling or zooming. The anti-reflective AUO panel (model AUO B133XW02 V1, TN) only has a resolution of 1366x768 pixels, but that is actually not too bad for a 13-inch business device. Higher resolutions would provide more details and more space (screen estate, several Excel sheets next to each other), but many companies are not interested in HD+ or Full HD. The rival Latitude E5440 (14-inch) has 1600x900 pixels. A black value of 1.37 results in a similarly bad contrast like the Latitude E5440. All competitors use TN panels, the technology can either provide good or bad contrast ratios. Both the TravelMate and the ProBook 645 G1 are better in this regard. 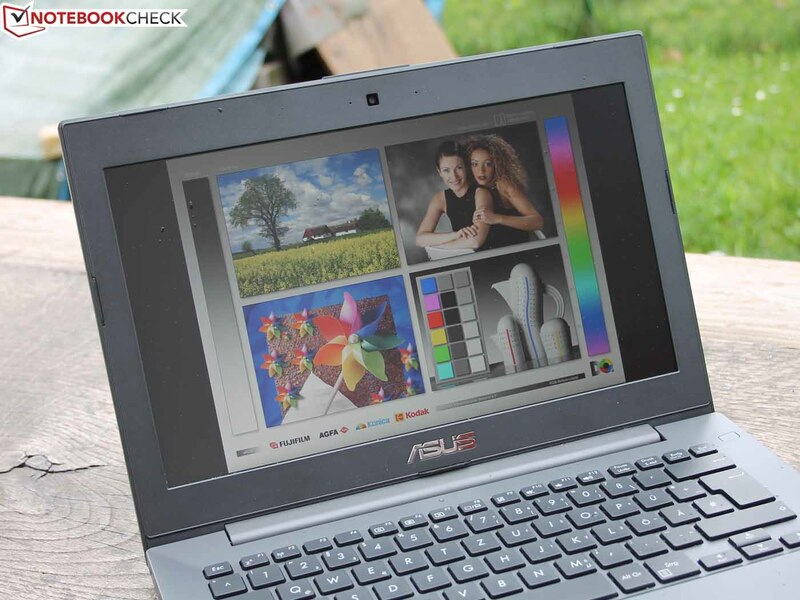 Only the Latitude is better in terms of luminance, our Asus manages a good average value. The PU301LA does not have a brightness sensor. As expected, the color space coverage is limited with around 40% AdobeRGB. We determine this result for almost every low-cost TN panel; it does not matter if they are used in a 300 Euros (~$411) budget device or a premium office notebook for 1,200 Euros (~$1645). This means the panel is not suited for professional purposes, and all users have to live with a visible blue cast as well as noticeable color deviations (DeltaE). The blue cast can be improved with calibration; we tried it. CalMAN: Grayscale – blue cast! The good luminance (not reduced on battery power) and the anti-reflective display surface result in good visibility outdoors. Even direct sunlight does not create annoying reflections. Our pictures were taken on a cloudy day. The viewing angles are limited, which is typical for a TN panel, and the deliberate blue cast does not improve the situation, either. Views from more than 30 degrees to the side will result in inverted colors. The thin case accommodates the popular Intel Core i7-4500U dual-core processor (Haswell, TDP of 15 Watts). It runs with a nominal clock of 1.8 GHz, which can be raised to 2.7 GHz (both cores) and 3 GHz (only one core) via Turbo Boost. There is another configuration with a Core i5-4200U and without 4G LTE modem. If you want LTE, you will have to buy the more expensive Core i7 as well. 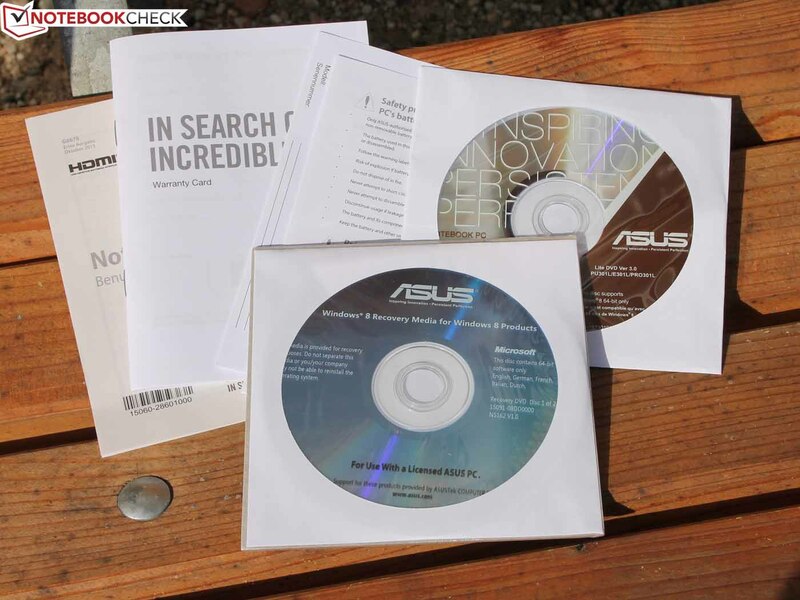 Asus uses a conventional HDD as the primary and only storage solution. The Toshiba MQ01ABF050 has a capacity of 500 GB, but only 310 GB is available for the user because of all the preloaded tools. 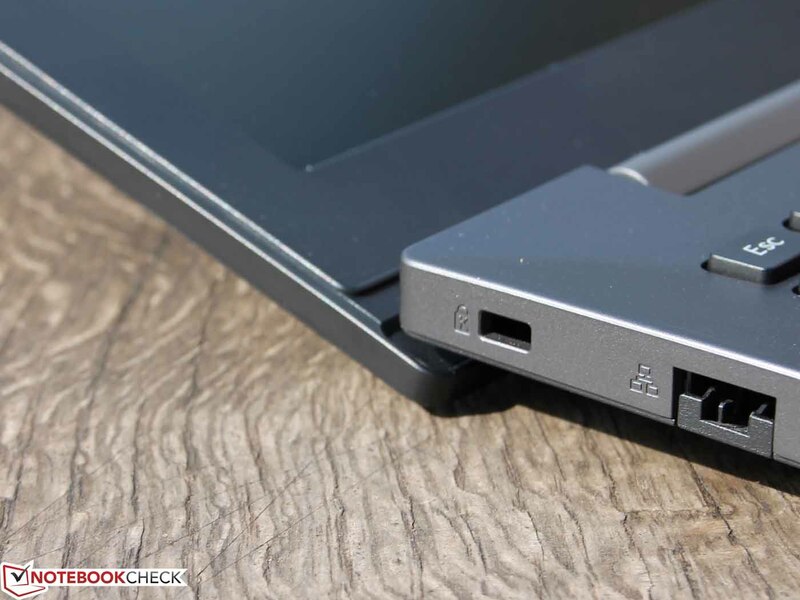 A mobile notebook would certainly benefit from an SSD, which (often) results in a quiet and shock-resistant device. Four GB RAM, provided by one module (single-channel mode), complete the package. We test the performance of the Core i7-4500U and look at the use of the Turbo potential in particular. There is no criticism here, the Cinebench tests and Prime95 show between 2.6 and 2.7 GHz. The performance is slightly reduced on battery power and the Cinebench R11.5 score drops to 2.64 points. There is full performance from the integrated graphics as well. The HD 4400 can maintain 1,100 MHz, even during our stress test with simultaneous CPU load. The Core i7-4500U can leave the competition behind, but that is not surprising against the A6-5350M (ProBook 645) and the old Core i3-2370M. The Core i5-4300U is just slightly slower, so price conscious users can also choose the Core i5 version without drawbacks. The TravelMate P633-M is currently available with the Core i5-3210M, an Ivy Bridge predecessor, which is 15 to 20% slower. We determine the system performance with PCMark 7 and 8.1. 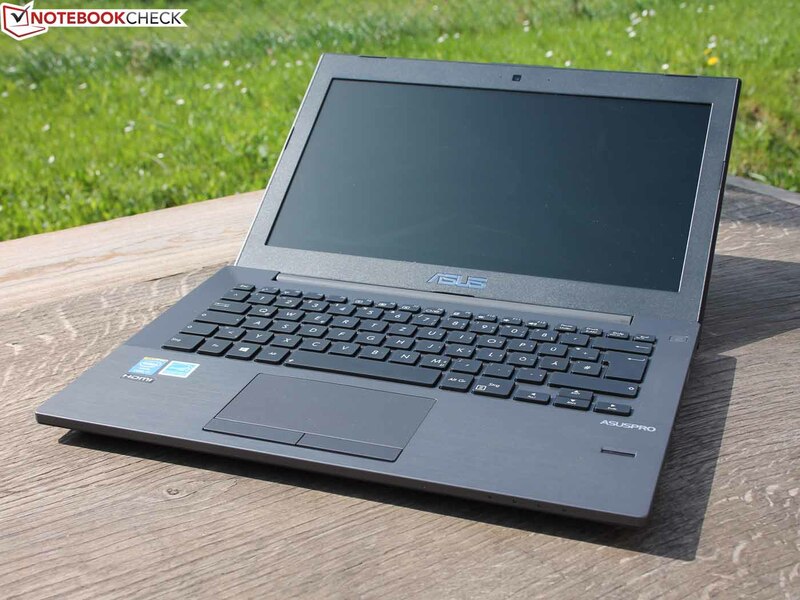 The Latitude offers the best result; the E5440 does have comparable CPU performance (Computation), but the hybrid hard drive has an advantage of 98%. At least in this benchmark, because the cache has to learn and can only accelerate frequently used files and application launches, but copying files and installing applications are not faster. A look at the AMD A6-5350M shows that the APU is actually powerful enough for an office device. The CPU performance is 63% lower (Computation), but the Home and Creative scores are sometimes even better, which is probably a result of the HD 8450G. Users will miss an SSD, it would have not only provided high scores in PCMark for the PU301LA, but also improved the performance impression. The subjective performance is a bit slow. It takes some time before the clattering HDD loads all background applications after you start the system. If the registry is full, users can get a coffee like in the past. Even now, it takes at least 60 seconds before the PU301LA is ready after a cold start. The Toshiba hard drive with a gross capacity of 500 GB shows typical values for a 2.5-inch HDD running at 5,400 rpm. It is comparatively fast in terms of sequential reads and writes, but it is very slow with small files (Read 4K < 0.4 MB/s). 4K writes on the other hand are pretty quick with > 0.8 MB/s, not many HDDs manage that. The Hitachi Travelstar Z7K500 is the fastest drive within our competition, but it also runs at 7,200 rpm. 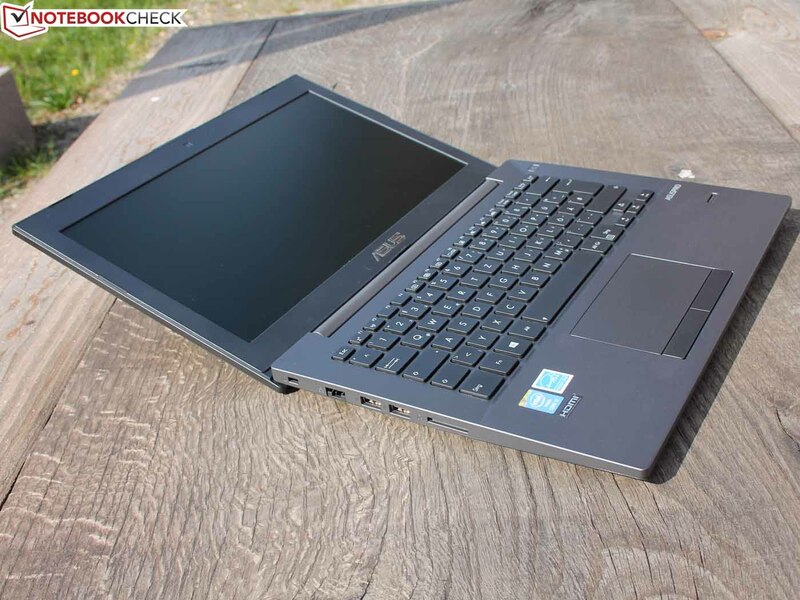 The integrated HD 4400 is a bit slower compared to the identical model inside the Latitude E5440. This is because of the shared memory, which only uses a single-channel configuration (one memory module). Dual-channel configurations usually improve the performance by 15-20% – on a low level of course. 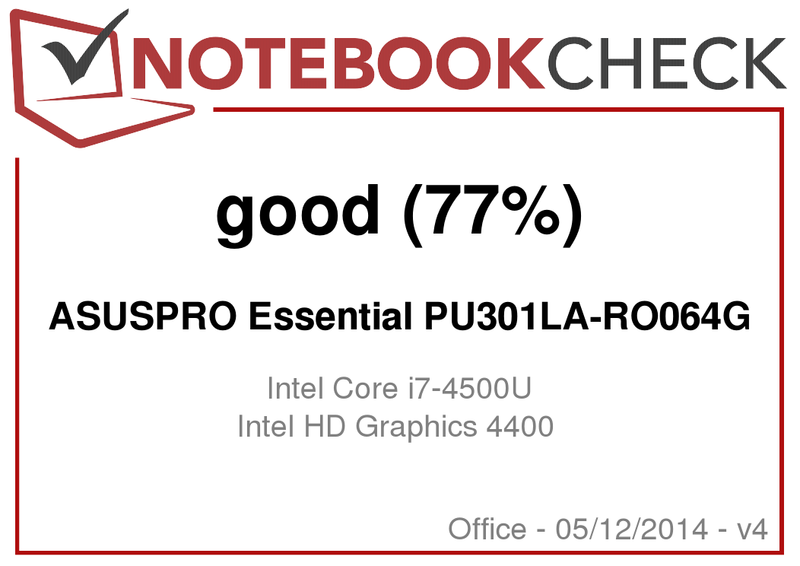 The APU based HP ProBook 645 G1 has problems with the GPU tests (-46%), the Physics score in particular, which is influenced by the processor, is 56% behind our review unit. Gaming is only possible with low details and resolutions, although the native HD resolution is usually already too demanding for smooth gameplay. While the active cooling is conveniently restrained during idle and occasional load, we can always hear the HDD with the clattering of the read and write heads. It is, however, not annoying, and the slight murmur of 31.3 dB(A) is hardly noticeable in office environments. 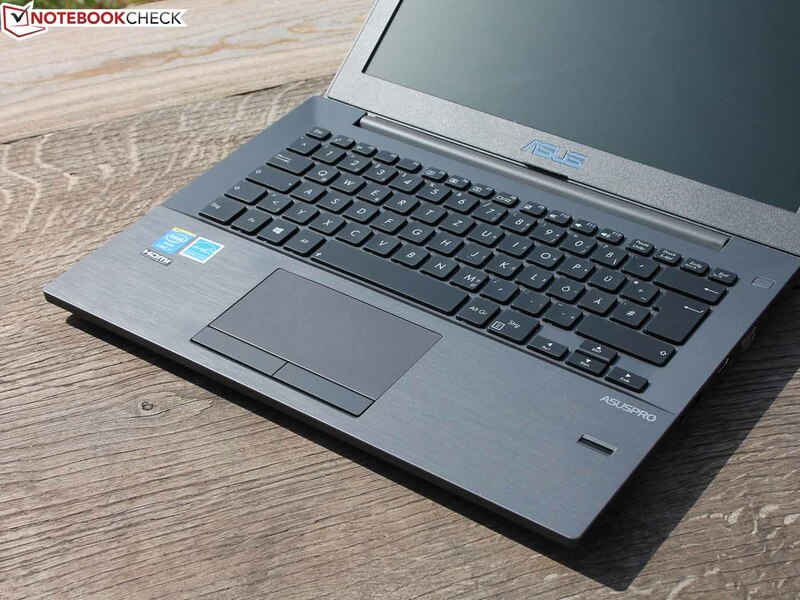 However, quiet office devices are not a special feature of Asus or Intel's ULV chips: Even the ProBook 645 G1 (AMD APU) deactivates its fan when idle; only the 7,200-rpm HDD is slightly louder. The situation changes under load, but 34 up to 38 dB(A) are still far away from annoying. The rivals were not much louder in their reviews, either. Users with many light workloads and idle periods will hardly ever hear more than 34 dB(A) from the PU301LA. One reason for that is the fan position in the center of the base unit; the fan exhaust is not at the side but underneath the display hinge. Although the fan is deactivated when idle, the PU301LA does not really get warm in this mode: The average temperature at the top and the bottom of the base unit is just at 26 °C (78.8 °F). Load increases the temperature at the hot spots around the processor significantly, but we cannot see values above 50 °C (122 °F). Our stress test for one hour shows thermal throttling for the first time: At 82 °C (179.6 °F), the clock quickly drops from 2.4 to 1.5 GHz, before it gets back to 2.4 GHz a couple of seconds later (at 81 °C; 177.8 °F). The GPU always runs with 1,100 MHz. Potential buyers do not have to fear performance restrictions, the above CPU benchmarks and PCMark tests show typical results for a Core i7-4500U system. (±) The average temperature for the upper side under maximal load is 33.6 °C / 92 F, compared to the average of 29.4 °C / 85 F for the devices in the class Office. (±) The maximum temperature on the upper side is 40.3 °C / 105 F, compared to the average of 33.9 °C / 93 F, ranging from 21.2 to 62.5 °C for the class Office. (+) In idle usage, the average temperature for the upper side is 25.6 °C / 78 F, compared to the device average of 29.4 °C / 85 F.
The speakers are underneath the palm rest, but very far at the left and right side, respectively. They are faced towards the bottom, but the sound is hardly changed, even if we cover the small speakers with the hands or lift the device from the table. The maximum volume is not very high, at least the small membranes do not distort. Still, the sound experience is not very good: The focus on medium tones is way too strong, high tones and bass are completely ignored. Typically, for this product class, the power consumption is low because of the low TDP of just 15 Watts. However, all rivals except for the HP ProBook 645 G1 use Intel's Haswell ULV chips, so there should only be bigger differences (maximum load) with a dedicated GPU (Latitude 3440). It is striking that more and more standard notebooks are now equipped with ULV chips (15 Watts) instead of standard voltage (35 Watts) CPUs. In terms of performance this is only a disadvantage for power users since short load periods are compensated by the Turbo Boost (the TDP of the SoC can exceed 15 Watts in this case). 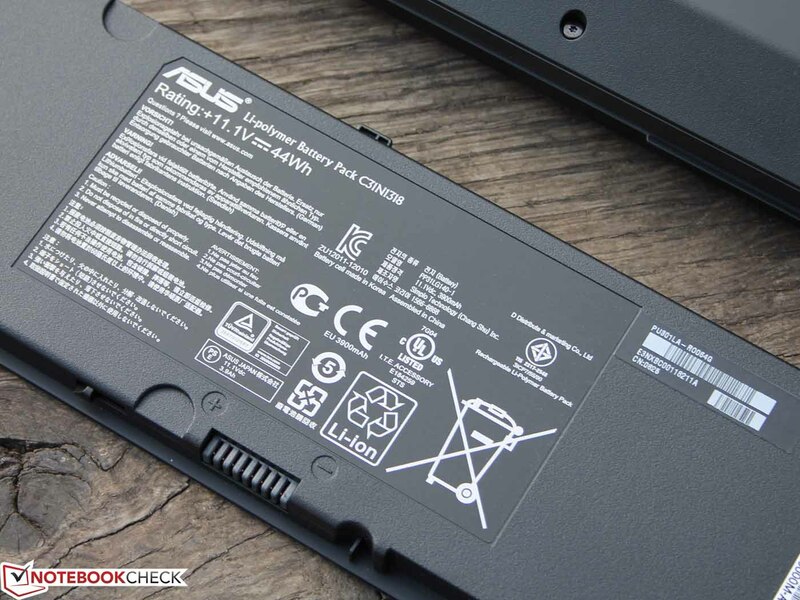 Asus uses a polymer battery, which is supposed to last three times longer compared to lithium-ion batteries. It has a capacity of 43 Wh and is supposed to manage 14 days of stand-by. 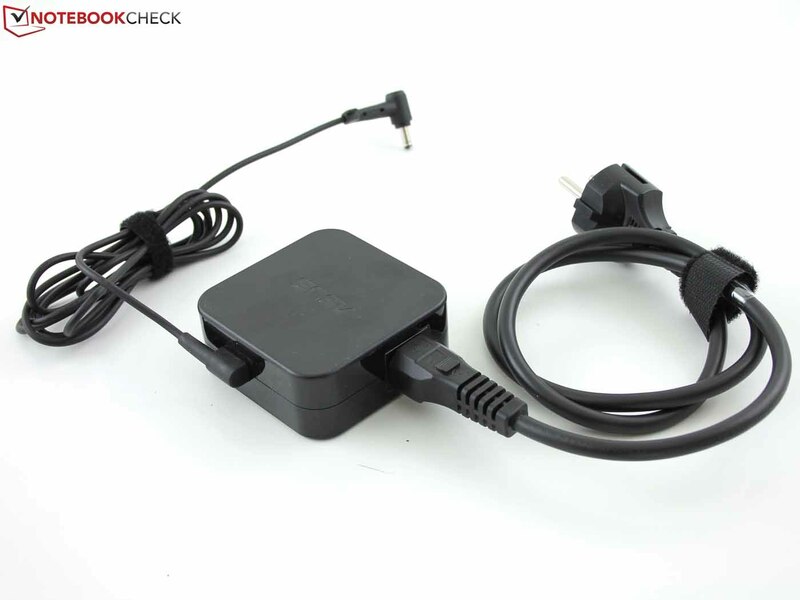 A smartphone can always be charged via USB Charger, even if the PU301LA is turned off, in stand-by or hibernating. Our battery runtime tests with the PU301LA show good results, even though the rivals with bigger capacities (Latitude E5440 & 3440 = 65 Wh) run around 50% longer and manage ten hours in our WLAN test! 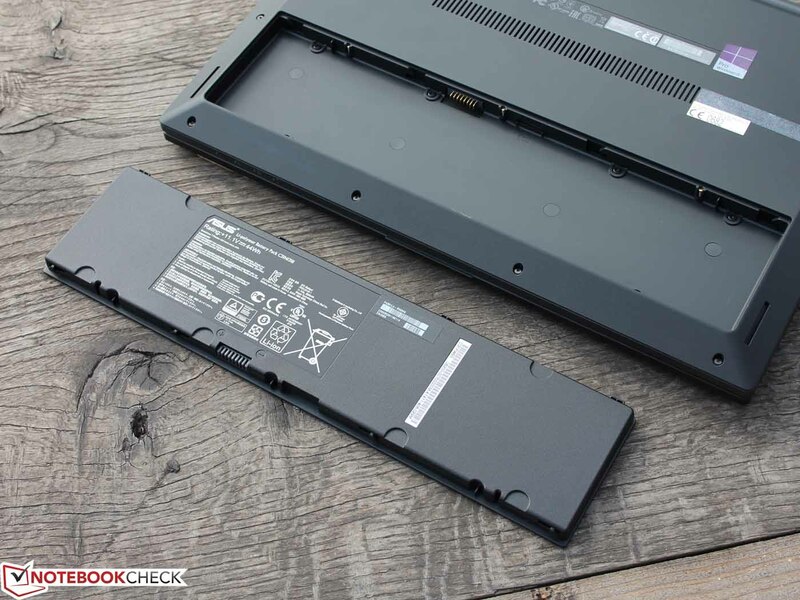 The PU301LA can browse the web for around 5 hours, just like the HP ProBook 645 G1 (55 Wh). A browser script refreshes websites every 45 seconds, sometimes with video playback while the brightness is adjusted to 150 cd/m² (dimmed two steps). 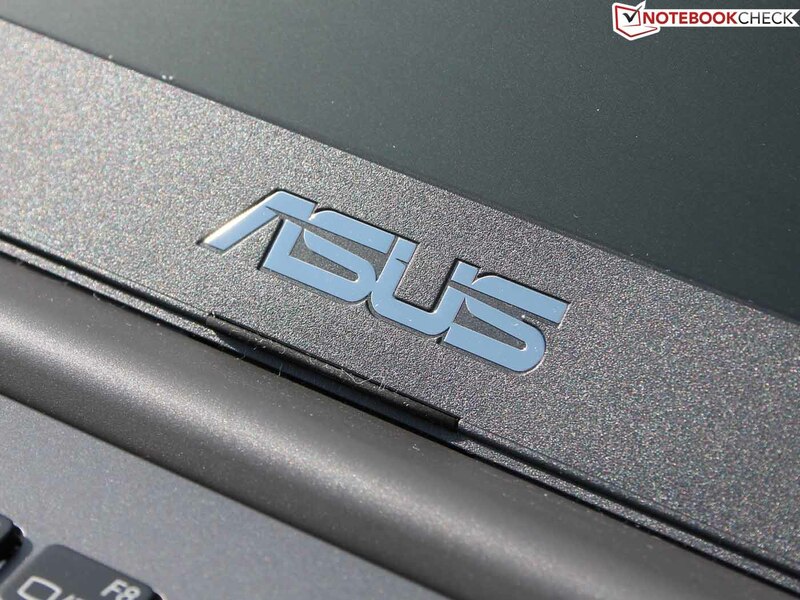 Asus offers a lower mainstream office notebook with the ASUSPRO Essential PU301LA. Some features are missing (docking port, sometimes HD+ panels), which are often available on devices for 750 Euros (~$1028) (Latitude E5440, ProBook 645 G1), but it can convince us with good brightness (but very low contrast), LTE modem, Core i7 and input devices with good feedback. 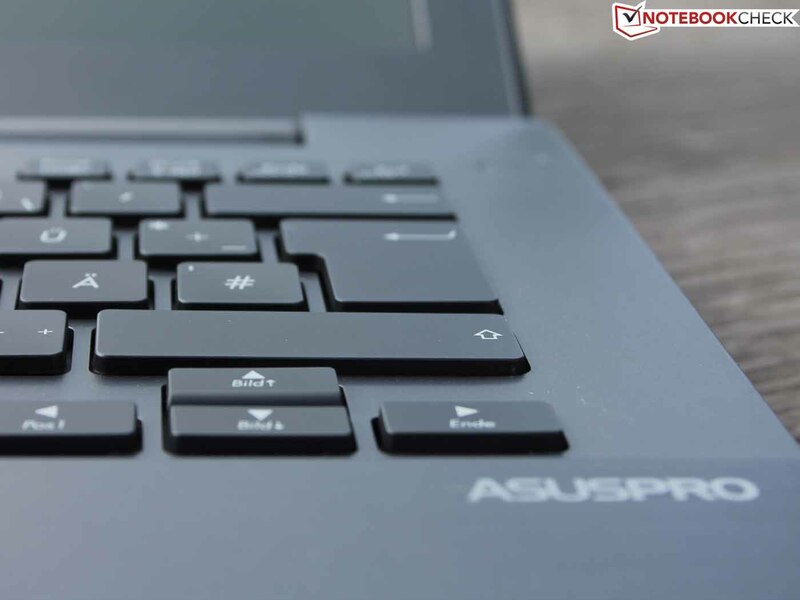 Asus integrates several security features, including the reliable fingerprint reader, the shock-resistant hard drive and the Small Business Advantage tools. The PU301LA does not get some important rating points because of the limited port variety (no DisplayPort, no docking port) and maintainability. The display with limited viewing angles and the system performance (HDD) are not very good compared to systems with an SSD. 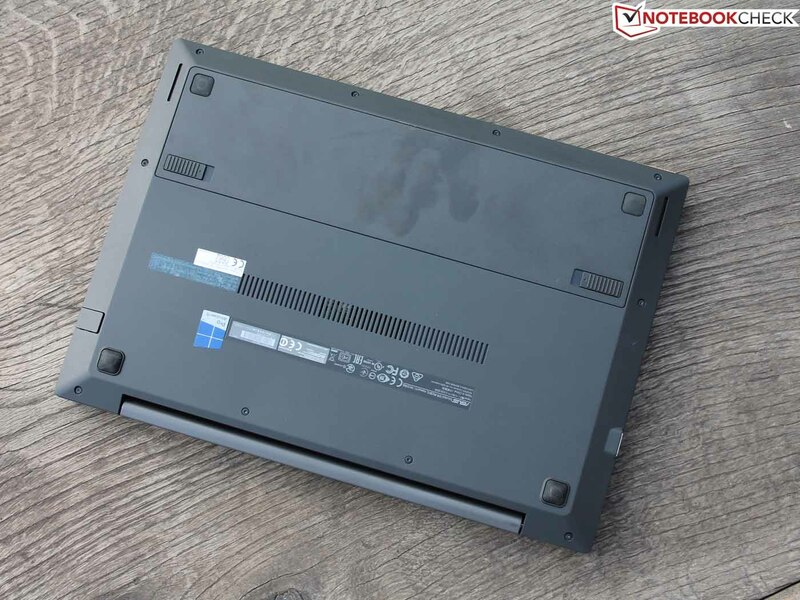 You should consider the Acer TravelMate P633-M if you are looking for a cheaper alternative, but it is currently only available with Ivy Bridge CPUs. Its chassis is made of an aluminum-magnesium alloy that leaves a higher-quality impression and improves the stability of the base unit. The input devices, on the other hand, are not so good for frequent writers. 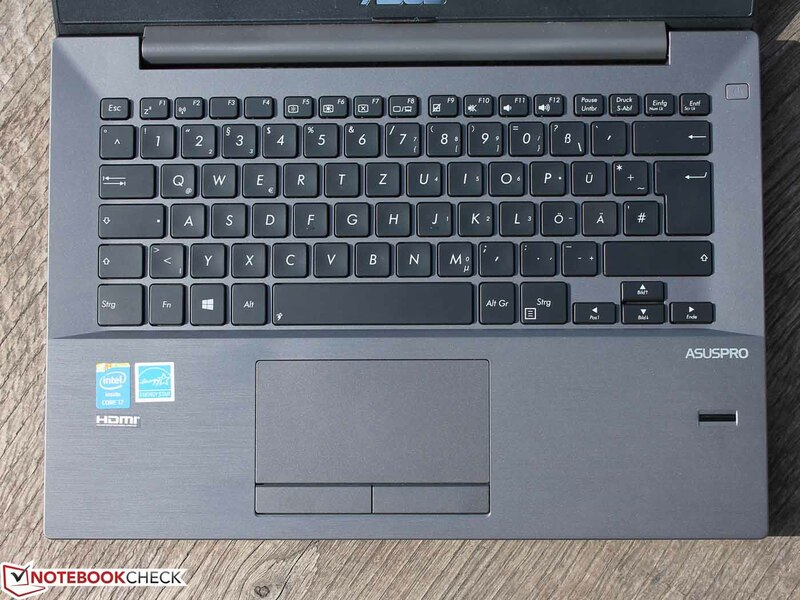 The keyboard is a big strength of the Dell Latitude E5440, which starts at 680 Euros (~$932) with a Core i3 and HD display configuration. The customer does not get as much performance and no LTE modem, but a better chassis and twice the battery runtime in return. 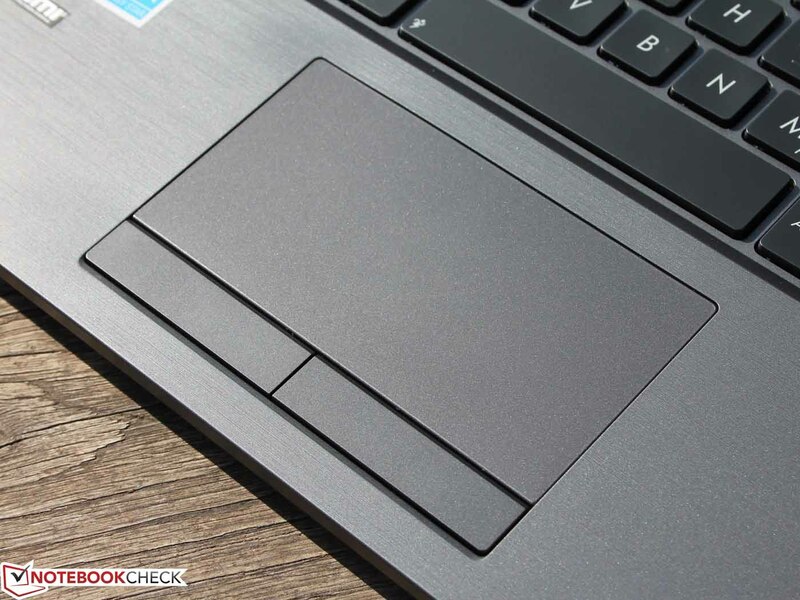 The HP ProBook 645 G1 (730 Euros; ~$1001) is a good choice for users who are looking for a solid chassis, excellent maintainability and decent input devices. An LTE modem can be added by upgrading; the port and the antennas are already integrated. 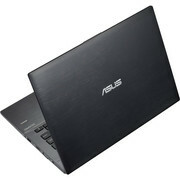 ...Asus also offers business devices. ... good input devices and a matte display. No, the office user gets fast hardware as well. 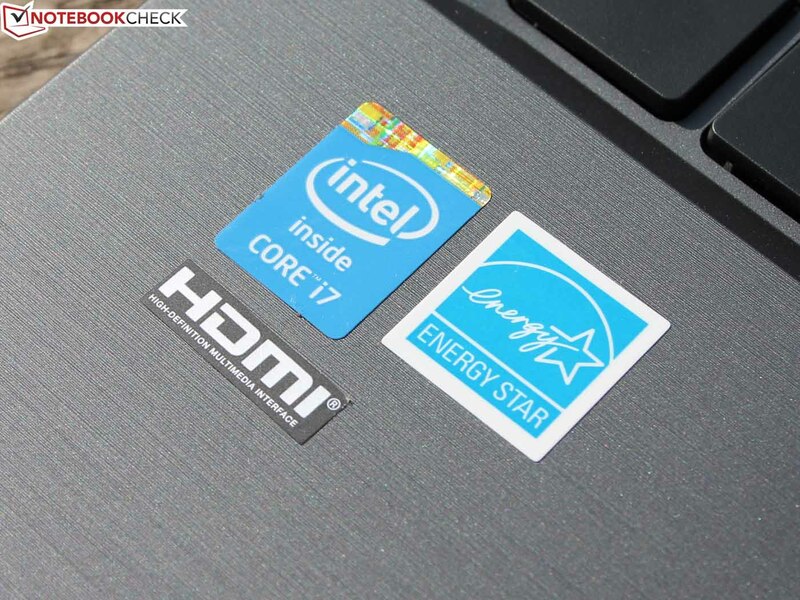 Our review unit uses an Intel Core i7-4500U. 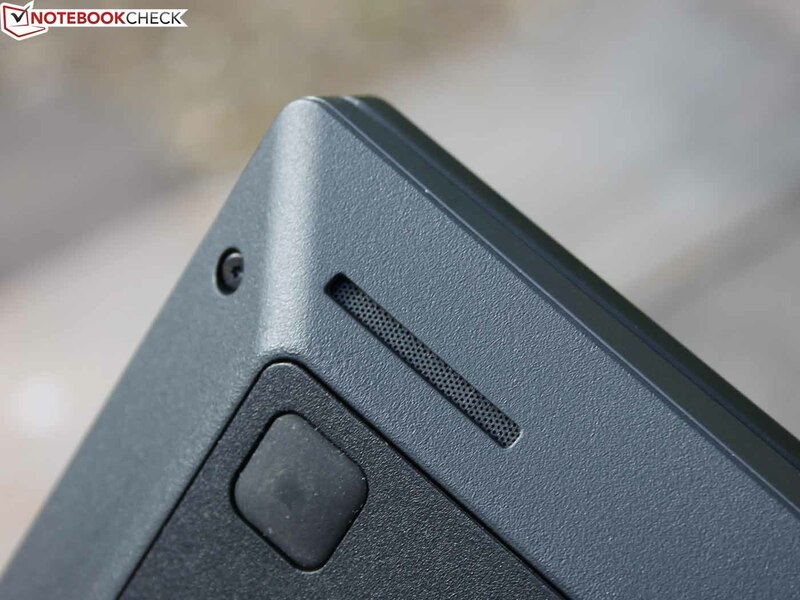 The cooling solution inside the thin chassis is not perfect. Throttling, however, is only an issue under extreme load. The fan exhaust is behind the hinge. Works well: The fingerprint reader for the fast login. Only the battery can be removed. It provides 44 Wh, which is enough for a five hour train ride. We like the keys: They have a long travel, which is pretty rare. ...and completely made of plastic. Accessories: Besides recovery DVDs you just get the power adaptor. 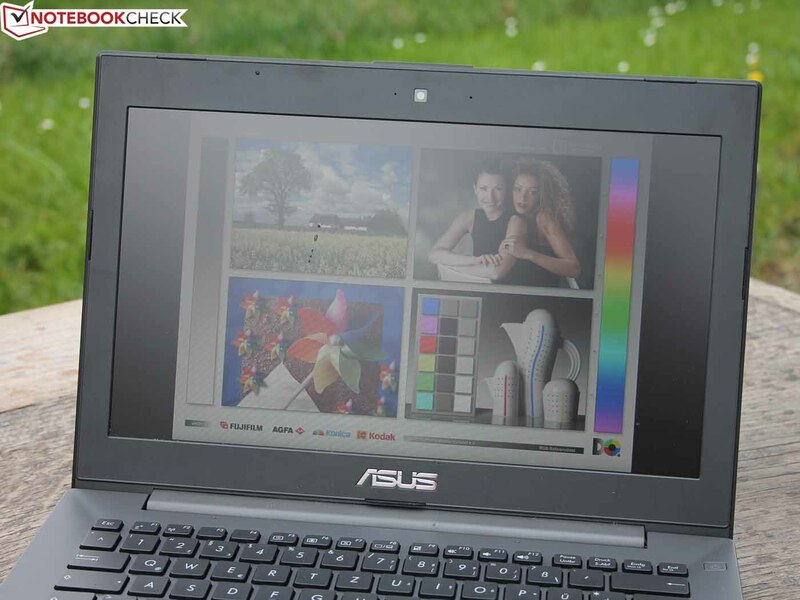 ASUS ASUSPRO Essential PU301LA: The panel suffers from low contrast. 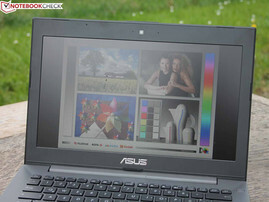 ASUS ASUSPRO Essential PU301LA: The multi-touchpad has very responsive buttons. 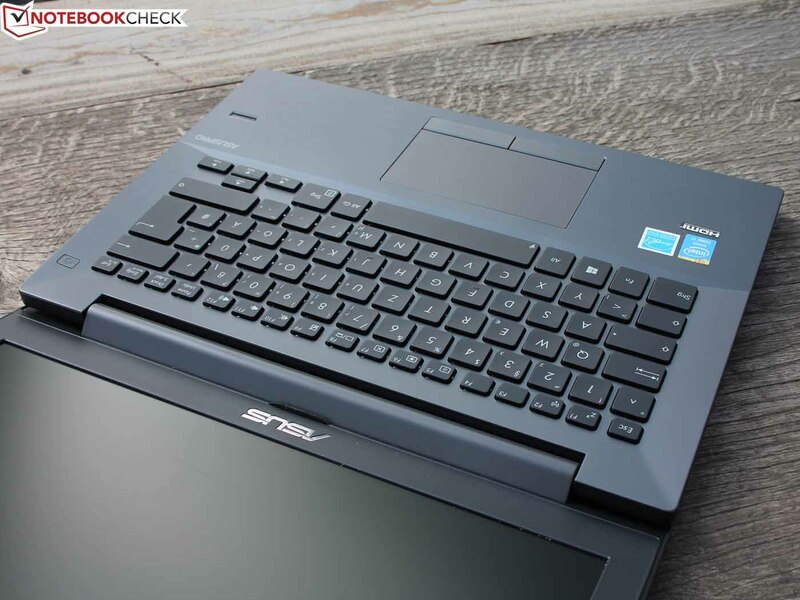 ASUS ASUSPRO Essential PU301LA: The keyboard is well suited for frequent writers. The long key travel enables agile typing with a lot of feedback. You will like this keyboard! 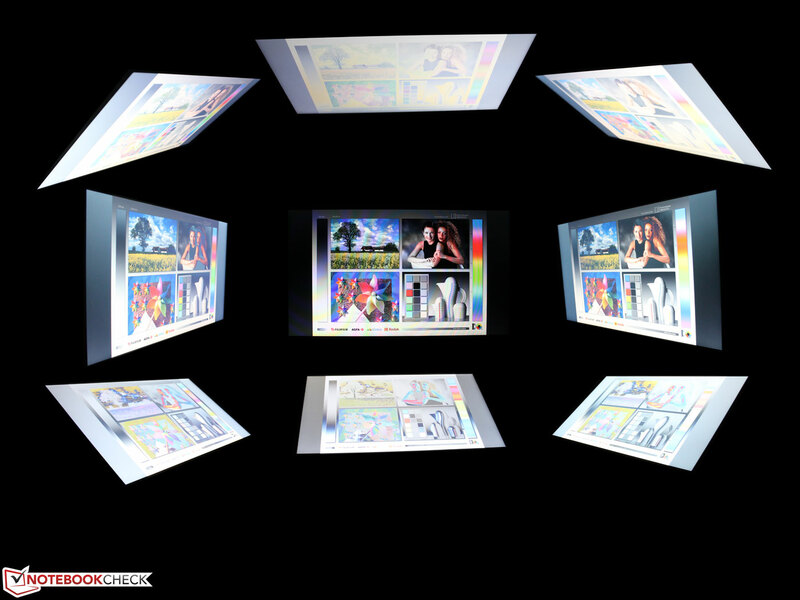 A display with a higher contrast and a better luminance. Unfortunately, Asus does not offer an alternative HD+ version. 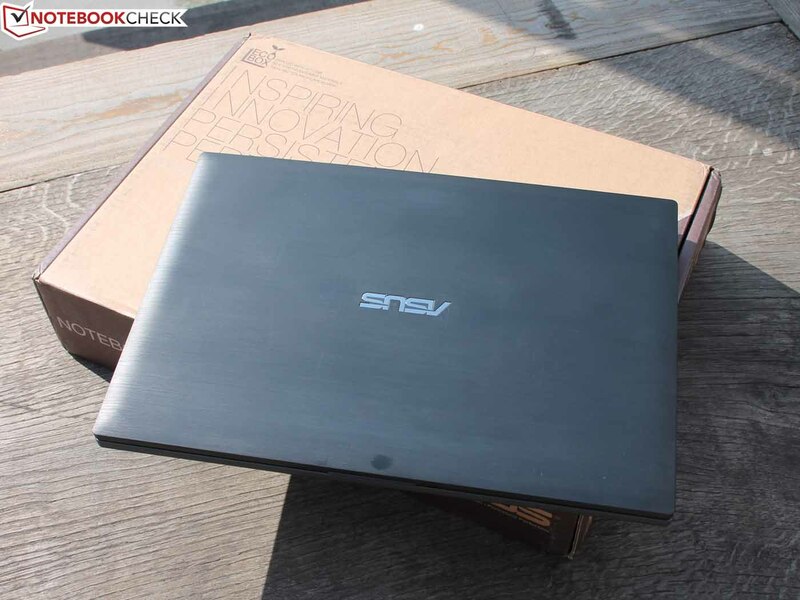 Asus restricts the maintenance and the upgradeability because of the missing maintenance cover and the lack of information in the manual regarding the removing of the bottom cover.